While most people do not give a second thought to the basic chemical elements, they are actually the building blocks of life and just about everything that we know. From breathing to medicines and everything else that we encounter in our daily life, chemical elements play a major role. Here are some of the more useful and best chemical elements that exist today and make the world into how we know it. Krypton (Kr) isn’t just the element that makes Superman weak. Krypton is an actual element on the chart and it is even in the air that we breathe. It is in miniscule amounts – about 1 part per million – but it is still there. On Mars, krypton is also existent in a much smaller amount – about 0.3 parts per million. Krypton is odorless and colorless as a gas. But as a solid, krypton looks like a white crystalline substance. It is classified as a gas at room temperature and its atomic number is 36 with an atomic weight of 83.798. Its name derives from the Greek word for hidden, which is kryptos. Krypton was discovered in 1898 by two chemists – a Scottish chemist named Sir William Ramsay and an English chemist named Morris M. Travers. They were studying liquefied air and noticed that some small amounts of krypton were left behind once the liquid air was boiled away. This element is often found in some photographic flashes in photography and some fluorescent light bulbs contain a mixture of krypton and argon gases. It can also be used to make signs that have a yellowish- green glow to them. Aluminum has a wide variety of uses in everyday life. Aluminum can be used to create cans for soft drinks, but it is also used for manufacturing kitchen utensils, siding for houses and so much more. It’s great for using in industrial materials when a lightweight yet durable material is needed and it also used for purpose of conductivity. It has been used in everything ranging from a thin foil used for wrapping foods to being part of today’s airplanes and rockets. Aluminum’s atomic number is 13 and its atomic weight is 26.9815386. It is classified as a metal and it is a solid when it is at room temperature. Its name comes from the Latin for alum, which is alumen. It is the most plentiful metal in the crust of the earth and all of the world’s aluminum has formed other compounds by combining with other elements. The metal has been known about since 1787, but Hans Christian Oersted, a Danish chemist, becamse the first person to create small amounts of it. Friedrich Wohler, a German chemist found a way to obtain it. Because of the advancements in technology for commercially producing aluminum, the price per kilogram dropped from $1200 in 1852 down to $40 in 1859. However, it was still too expensive for widespread use. The element curium (Cm) is created by adding many helium ions to plutonium. It is named after Marie Curie, a physicist who is credited with discovering and working with radioactivity. 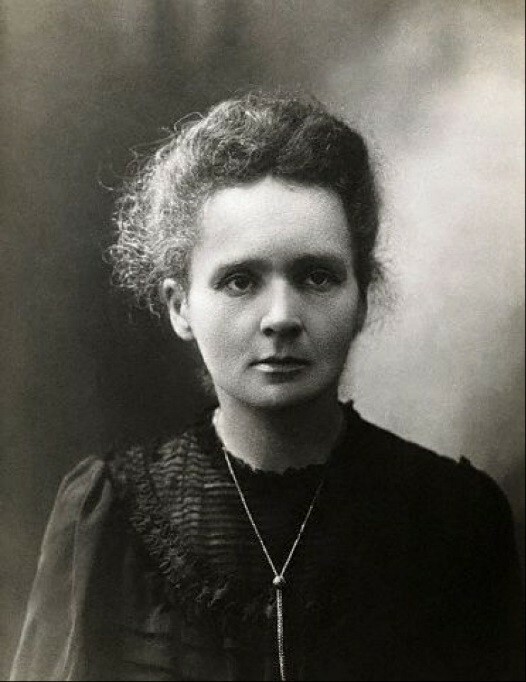 One of the reasons it was named after Marie Curie is because this element is so radioactive that it actually glows in the dark! It has the atomic number of 96 and an atomic weight of 247. At room temperature, it is a solid and it is classified as a metal. Curium was created by a team of scientists working at UC-Berkeley in 1944. They were Glenn Seaborg, Ralph James, and Albert Ghiorso. The element has a half-life of 163 days and it can decay through spontaneous fission or through alpha decay. There are only a few uses for curium. In fact, only a few milligrams of curium have been produced, so there is no commercial use for this element. It is mainly used for scientific research purposes. One time, however, it was used was during a mission to Mars with the Alpha Proton X-Ray Spectrometer. Since curium is not created in nature and it is only manufactured in very small quantities, most people will never encounter this element. Also known as quicksilver, the element mercury (Hg) is a heavy and silvery metal. When mercury is at room temperature, it is in liquid form. That is why it is often used in barometer, thermometers and other apparatuses. However, mercury can be highly toxic and it can be lethal if a person comes into contact with it. It can cause bodily harm if inhaled, ingested through the digestive tract, or even absorbed into the skin. It can then accumulate and cause severe sickness or even death. As a result, many manufacturers have moved away from using the substance in many of their products. Many thermometers and barometers are now made with an alcohol filling or they are digital. Mercury’s atomic number is 80 and its atomic weight is 200.59. It was named after the planet Mercury. It has been found in Egyptian tombs dating back more than 3,000 years and about half of the world’s supply of mercury is produced by Italy and Spain. The element mercury can combine with other elements to make various compounds. For instance, mercuric chloride is a poisonous salt that was once commonly used for disinfecting wounds. Mercurous chloride is a compound used as an antiseptic for killing bacteria. Lutetium (Lu) was discovered by Georges Urbain in 1907. As a result for discovering it, he was given the right to name it. He named it lutecium, but chemists later changed the named to lutetium. This element is difficult to prepare and it does not have many practical uses. Its atomic number is 71 and its atomic weight is 174.9668. It is a solid metal and the name for it comes from the ancient name for the city of Paris – Lutetia. 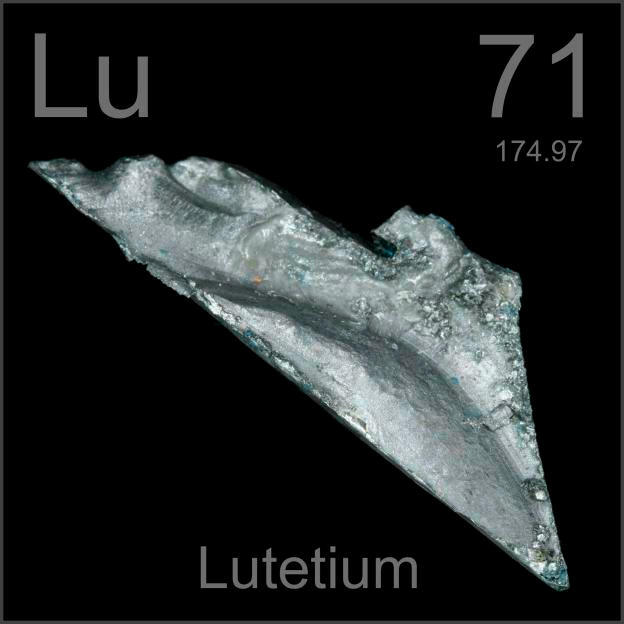 Urbain received credit for discovering lutetium when he determined that the element ytterbium was actually composed of two elements – neoytterbium and the element he named luteicum. Another scientist – Carl Auer von Welsbach of Germany, reached a similar conclusion around the time as Urbain’s findings, although they were both working independently. He named the two elements albebaraium and cassiopium. The word chlorine is derived from the Greek term chloros, which means “greenish yellow.” That’s because the actual color of chlorine is a greenish yellow color. It has an atomic number of 17 and an atomic weight of 35.453. It is one of the few elements that are never found by itself in nature because it combines with almost all other elements. Carl Wilhelm Scheele, a Swedish chemist, is credited with being the first person to produce chlorine. While doing research in 1774, he combined hydrochloric acid with pyrolusite, a mineral, which produced the chlorine gas. At first, Scheele thought it was oxygen, but Sir Humphry David proved that it was another distinct element in 1810. Chorine is used in manufacturing many of our everyday products, from laundry bleach to cleaning products and much more. All over the world, chlorine is added to the water supply to provide clean drinking water for people, too. Chlorine has also been used the manufacturing process for paper products, medicines, insecticides, plastics and many more items that consumers buy. One of the most popular chlorine products is sodium chloride, which is commonly known as table salt. Hydrogen chloride, when mixed with water, forms hydrochloric acid. Other compounds that include chlorine are potassium chloride, chlorine dioxide, and chloroform, among others. Chlorine can be dangerous as it can burn the skin and irritate the mucus membranes. Most people can smell this gas in concentrations as low as 3.5 parts per million. However, inhaling the gas at 1000 parts per million can prove to be fatal. The element zirconium, with an atomic number of 40 and an atomic weight of 91.224, is utilized by the chemical industry when corrosive agents are involved. It can be used in surgical appliances, lamp filaments and also photoflash bulbs, among many other things. In addition to that, zirconium has been used in ointments and lotions to soothe poison ivy. 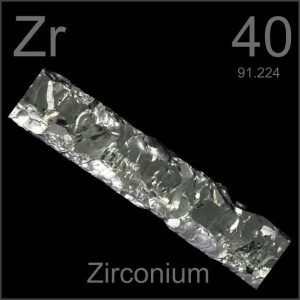 At room temperature, zirconium is a solid metal. The name comes from the word zargun, which is Persian for gold-like. A German chemist by the name of Martin Heinrich Klaproth discovered this element in 1789 while he was analyzing the composition of jargon, a mineral element. Later, a Swedish chemist by the name of Jons Jacob Berzelius isolated zirconium in 1824. In 1914, zirconium was prepared in its pure form. Zirconium is often used in high performance valves and pumps because it is corrosion-resistant. It is also used in nuclear reactors because it does not absorb neutrons easily. In fact, about 90 percent of the zirconium that is produced annually is used by the nuclear power industry. Zirconium can also be used as an alloy for steel when making certain pieces of surgical equipment. Many people know the element zirconium as a substitute for diamonds. The term for that is actually a compound named Zircon, which is often a clear and transparent gemstone that is used in many types of jewelry. Zirconium dioxide is another zirconium-based compound and it is used for lining the walls of furnaces because it can withstand extremely high temperatures. Helium is the most popular party element because it is used for making balloons stay afloat and for giving people funny high-pitched voices when it is inhaled. But those aren’t the only things that helium can do. Helium has the atomic number 2 and an atomic weight of 4.002602. At room temperature, it is a gas and it is a non-metal. The name comes from Helios, the Greek god of the sun. Helium is the second most plentiful element in the entire universe. It was actually discovered on the earth after it was discovered on the sun first. A French astronomer – Pierre-Jules-Cesar Janssen – observed a yellow line located in the sun’s spectrum during a study of a total eclipse in 1868. Another astronomer – Sir Norman Lockyer, an Englishman – realized that the yellow line in the sun’s spectrum could not have been created by any of the known elements of the time. He thought that the new element was the reason for the yellow line. He called this unknown element helium. It wasn’t until 1895 when the element helium was discovered on the earth. Sir William Ramsay, a chemist from Scotland, was doing experiments with clevite, a mineral that contains uranium. Using several mineral acids and exposing the clevite to them, he was able to collect several gases. He sent samples to Lockyer and another scientist – Sir William Crookes – and they identified that there was helium in the samples. The element helium comprises a very small fraction of the earth’s atmosphere, but it is often lost into space because it is not bound to the earth by gravity. Helium is extracted from natural gas deposits that are mainly found in Oklahoma, Kansas, and Texas. It can be used to inflate something as large as a blimp or as small as a party balloon. In can be used to pressurize fuel tanks or it can combine with oxygen to create an atmosphere that is free of nitrogen for deep sea divers. This helps them avoid contracting nitrogen narcosis. 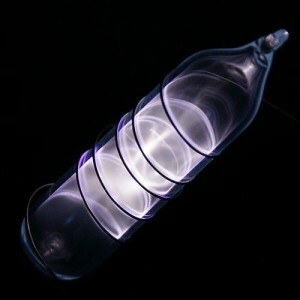 When cooled to the lambda point, which is -217 degrees Celsius, helium becomes helium II, which is a superfluid. This means that it can climb upwards on a surface and defy the laws of gravity. It does this because it seeks a warmer area. Currently, there are no known compounds that have the element helium within them. The word copper derives from the Latin “cuprum,” which translates into “from the island of Cyprus.” This name fits because the Roman Empire got most of the copper that it used from the island of Cyprus. It has an atomic number of 29 and an atomic weight of 63.546. 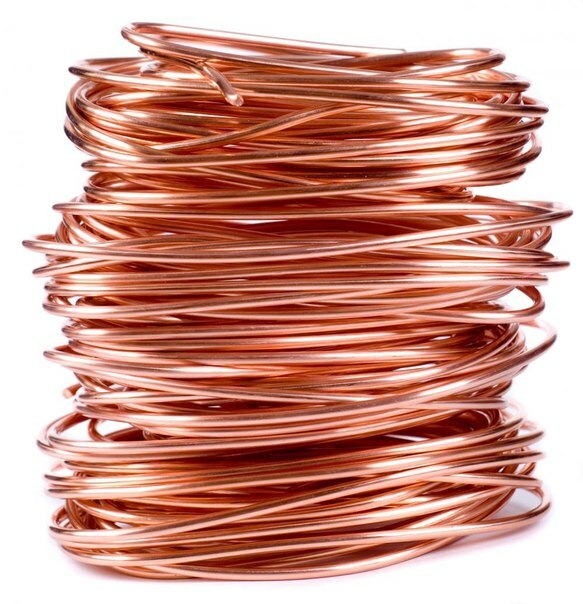 At room temperature, copper is a solid and it is classified as a metal according to the element classification. According archaeological findings, copper has been used by people in civilizations for more than 10,000 years. Because it is not difficult to mine, it has been extracted from the ground for at least 7,000 years. Today, much of the copper that is mined and extracted is located in Chile, Zaire, Canada, Peru, Zambia and the United States. 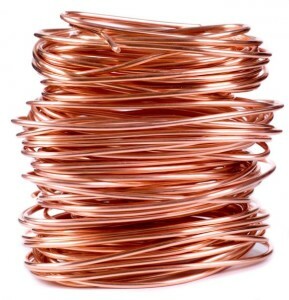 The electrical industry uses copious amounts of copper because it is highly conductive. In fact, silver is the only other element that is more conductive than copper. But copper also resists corrosion that can occur from seawater, moisture and the air, making it a versatile element for use in many consumer products. It has even been used in the last few decades for making coins. Today, pennies are made from zinc and then coated with copper. It is also used in the manufacturing of water pipes and many types of jewelry. Because pure copper is such a soft element, it is usually mixed with other metals to make it more durable and stronger. The most common metals that it is mixed with for added durability are brass and bronze. Bronze was the first alloy made by humans and it mixes copper with about 25 percent tin. Early civilizations used bronze for making weapons, ornaments and much more. Brass is also mixed with copper at times to make it more durable. This was first done about 2,500 years ago. Brass is made from between 95 percent and 55 percent copper with the rest of the mixture being composed of zinc. The Romans used brass a lot when they made kettles, coins and other items. Today, brass is often used when making musical instruments, hardware and other things that need to be corrosion-resistant. Oxygen was basically discovered by two different scientists who were working on their own individual studies and experiments. Joseph Priestley is often the one given credit for discovering oxygen, but Carl Wilhelm Scheele is also mentioned in some circles as the person who discovered this important element. Both scientists called the element something different when they discovered it. Priestley called it “dephlogisticated air” and Scheele called it “fire air.” It wasn’t until years later when Antoine Lavoisier came along and named it “oxygen,” although he incorrectly believed that this element was vital for forming all acids. This element makes up just over 20 percent of the total earth’s atmosphere and it is the third most plentiful element in the entire universe. It also makes up close to half of the earth’s crust, about 66 percent of the human body, and 90 percent of water masses in the world. Oxygen is required not only to help living organisms survive, but it is also necessary for most forms of combustion. It can be used in the welding process if it is combined with acetylene to create a very hot flame that will meld metals together. Liquid oxygen can also be used as an effective rocket fuel and it is also a part of hundreds of thousands of organic compounds.